Two ant colonies started afresh, building their empires in the sand. One grew taller with each passing day, a towering tower, red colour shone, and the ants victoriously reached for the sky. The second grew wider with each passing day, a permeating pasture, red colour shone, and the ants victoriously reached for the earth. Which one defines success for you? Hygiene = Discipline: Hygiene is the regular act of preventive practices. By doing this from the start, you will ensure faster scaling of operations in the future. It signals discipline on an entrepreneur’s part, to be willing to work harder, within an appropriate, prescribed framework in order to mitigate future issues. Mentors and investors will also be impressed by good processes and discipline; a trait (wrongly!) thought to be uncommon amongst new generation. Hygiene Gives Compounding Returns: Every entrepreneur understands the importance of compounding returns. If hygiene is built into the core of your business processes, it will allow for quicker growth, easier data analysis, faster decisions and lowered organisational friction. *TIP: Focus on how small initial tweaks, will pay off in the longer run. Coding efficiencies at the root level will ensure slack when needed in the future. A sparkling floor spotlights even a speck; a messy floor can hide even rats. *TIP: Think of what all can go wrong in your processes in the next 2 years, and include variables to account for them from the outset. 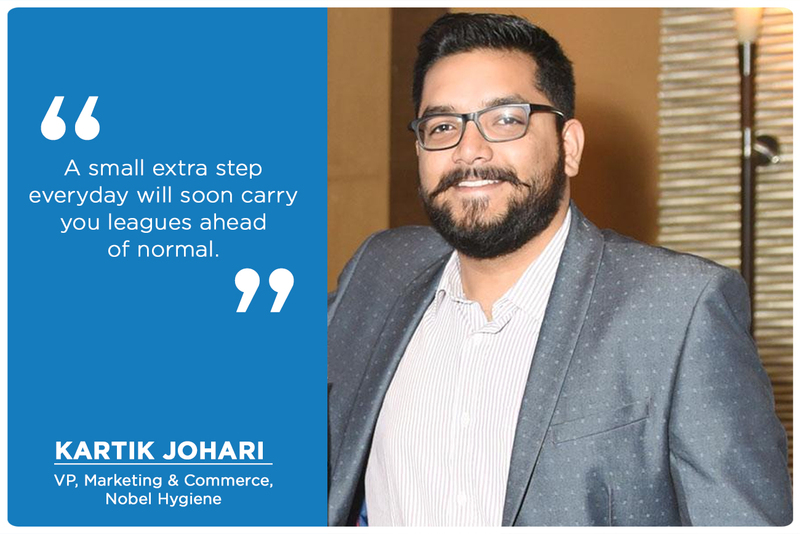 Hygiene Ensures Focus: As you will have set up better practices from the root, the resultant savings in time will yield great focus towards your core activities. Focus only on what can add value, and proper hygiene will help you immediately identify it. *TIP: Ensure that your hygiene stands out, by including a few snap shots of internal reports, ledgers or communications. It shows great commitment, when all the small details are also thought through. Hygiene Promotes Great Internal Culture: When you are focused on hygiene, you will act to ensure no potential issues are left unanswered, as hygiene is after all a preventive action. Thus, by addressing personnel related conflicts, and nurturing a culture of redressal and solutions, you will not allow bickering or bureaucracy to fester within your fledging organisation. Personal Hygiene: If you thought this would be ignored, you are wrong! The brain truly flourishes when it is housed in a healthy body. Take the right steps for your personal growth too. Do a modest amount of exercise, maintain cleanliness, in yourself and in your surroundings. Work on your presentation, because first impressions do indeed last. The idea of a hoodie-wearing, gum-chewing, cigarette smoking, entrepreneur archetype is a bit cliche to aspire to. Focusing on your appearance shows others that you are mature enough to understand how the world works. Either that, or your skills must be one-in-a-billion! The odds are yours. Maintaining good hygiene from the outset can be a true catalyst for a growing organisation. Take the chance, to remove multiple barriers from your way so you can focus on the things that matter. Remember the Japanese way of Kaizen that is now espoused by Silicon Valley giants. A small extra step everyday will soon carry you leagues ahead of normal.